Most dealership marketing and sales efforts are geared toward getting the potential customer onto the lot, through the front door, and in front of a salesperson. The salesperson makes a compelling case for buying the vehicle, the customer signs the papers, and drives off in their new purchase. For future growth, it’s critical to make that first sale—but that’s not where it should end. Returning customers are the foundation on which dealerships develop and grow, and multiple touches are the key to building that relationship. Here are some methods to use to make that one-time buyer into a customer for life. Future customers are created from today’s prospects. To accomplish this, salespeople need to put themselves in the position of the customers facing them. How are they feeling? They’re probably nervous—it’s either evident or the customer might be putting on a tough act to hide it—and why wouldn’t they be? The dealership is the natural habitat of the salesperson, but this is a very special, and very foreign, experience for the customer. They’re excited at the prospect of a new vehicle, to be sure, but they see a potential minefield between them and their goal. Will they be spending too much? Will a wrong decision today haunt them for years? Will the dealership try to take advantage of them? Today’s consumer is better educated and better equipped to make this major purchase, but that still doesn’t make it any less stressful. In fact, it might make it more stressful, because their online education may have led to new questions. At this point, the salesperson needs to be the professional, and take the time to listen and get to know the customer and their needs. Often, the customer has already made the decision to buy the vehicle before they step foot in the dealership. They don’t need to be closed; they need to be assured. 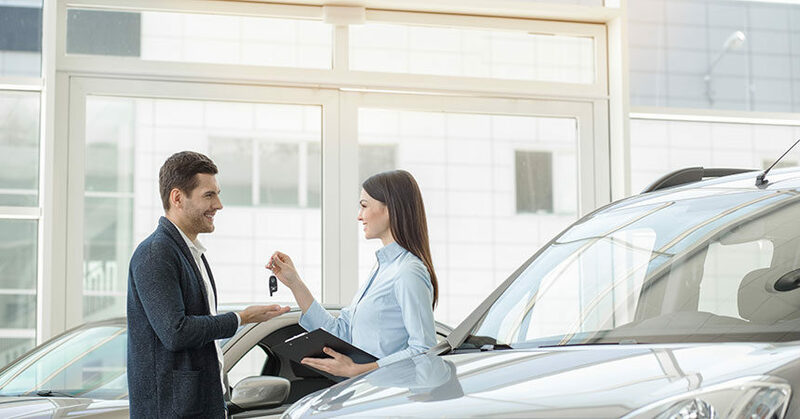 They want to know they are making the right decision, and it’s the salesperson’s job to assure them that they are—or let them know that another vehicle might actually be a better match for them. By being their advocate on this sales journey, salespeople are putting themselves—and their dealership—on the path to customer loyalty. But it’s only the beginning. 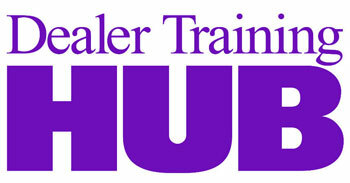 During the sale, it’s important that the salesperson introduce the customer to the dealership’s service department. Service is critical to the dealership’s health, and critical to building long-lasting relationships. Putting the idea of service into the sales process smooths the transition and increases the value of your dealership in the customer’s eyes. It doesn’t have to be a long introduction—in fact, it shouldn’t be—but it should be enough to get the customer familiar with the department. Scheduling the first service now, while the customer is basking in the glow of a new purchase, is a great way of getting that process in motion. Still, there’s more the salesperson can do to keep that customer happy and coming back. Checking back in with the customer after a few days lets them know that your dealership is more than a one-stop car-ordering facility; you’re interested in making sure that they are happy and that you’re always there to help with questions or concerns. Ask them about their experiences with the vehicle. Any surprises? Is it performing the way they expected? What about the vehicle’s technology? It’s difficult to cover everything about a vehicle even in a comprehensive walkaround. After being with the car a couple of days, they might have questions that they didn’t know to ask during the sale. A question answered today can lead to much more enjoyment with the vehicle down the road. Specific questions get specific responses, and let the customer know that you’re actually interested in the answers. If you don’t hit upon a question or concern they are having, they’re more likely to ask you a question at that point. Also, be able to answer the questions. Most vehicles will have common questions—often about new technology the customer’s older vehicle didn’t have—so be prepared for those. And, if you don’t know, let them know you’ll find out, then call them back with the answer. In the sales process, great salespeople get to know the customer—and their family, their activities, their needs, etc. Then, they make note of these unique answers and keep a file. As time goes on, a customer’s needs will change. By being aware of this, a salesperson can make sure they are in the right place at the right time. Does that customer have a teenager who will be needing a vehicle in a couple of years? Did another have plans to retire at the end of next year? Is that growing family going to need a bigger vehicle a few years down the road? By becoming part of their lives, salespeople can graduate in the customer’s eyes from a barely remembered individual to “my car guy/gal.” Loyalty is the goal, but can only be achieved by regular, meaningful contact. It’s important to automate as much of this personal marketing as possible. If you only had one customer to keep up with, it would be easier to maintain contact. When you have hundreds or even thousands of past customers over the years, however, it’s impossible to make meaningful contact without help. Digital marketing and artificial intelligence won’t replace the human touch, but technology does allow motivated professionals the opportunity to build that rapport with customers and keep them coming back. By automating reminders and giving salespeople the tools they need to tend to their flock of customers, the dealership is set up to build a loyal base of returning clients who are happy to do business with “their” dealership. Valerie Vallancourt is vice president of marketing at Outsell, which provides an AI-driven marketing automation solution to auto dealers. Since joining the company nearly three years ago, Vallancourt has transformed its marketing, developing a demand-generation engine and implementing new processes for lead generation and tracking. These efforts significantly improved inbound lead flow while improving quality, helping Outsell exceed its sales goals. Valerie also champions women to be a part of the automotive industry.